Pretty pink, white and purple seasonal blooms with some touches of greenery arranged in a glass fishbowl. 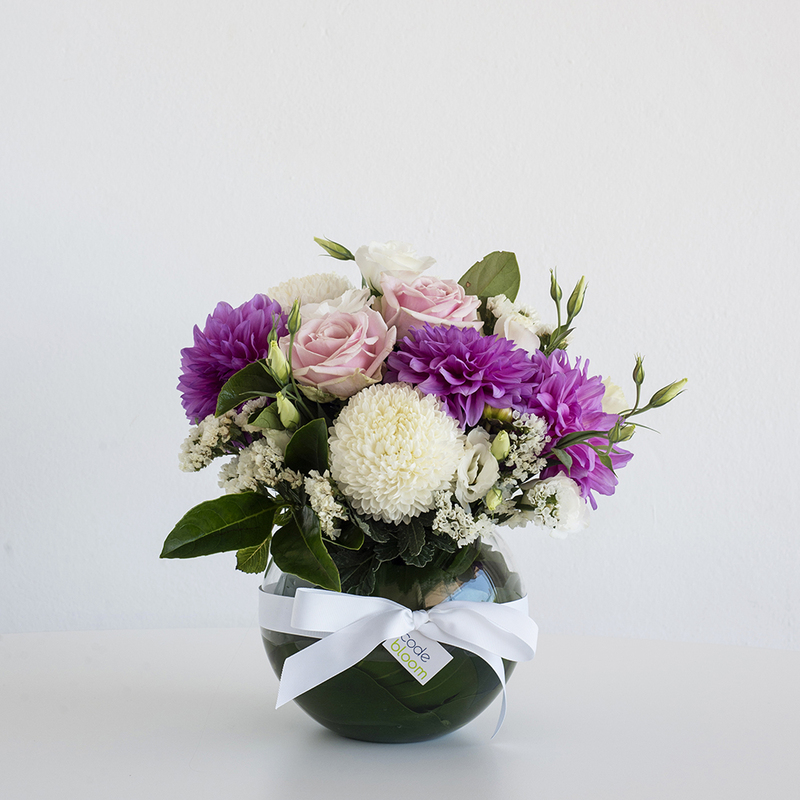 A particularly beautiful arrangement that will be loved by any recipient. This arrangement comes with a complimentary gift card for your own personal message.